Iconic in design this jacket is our most up to date and the most imaginative form. 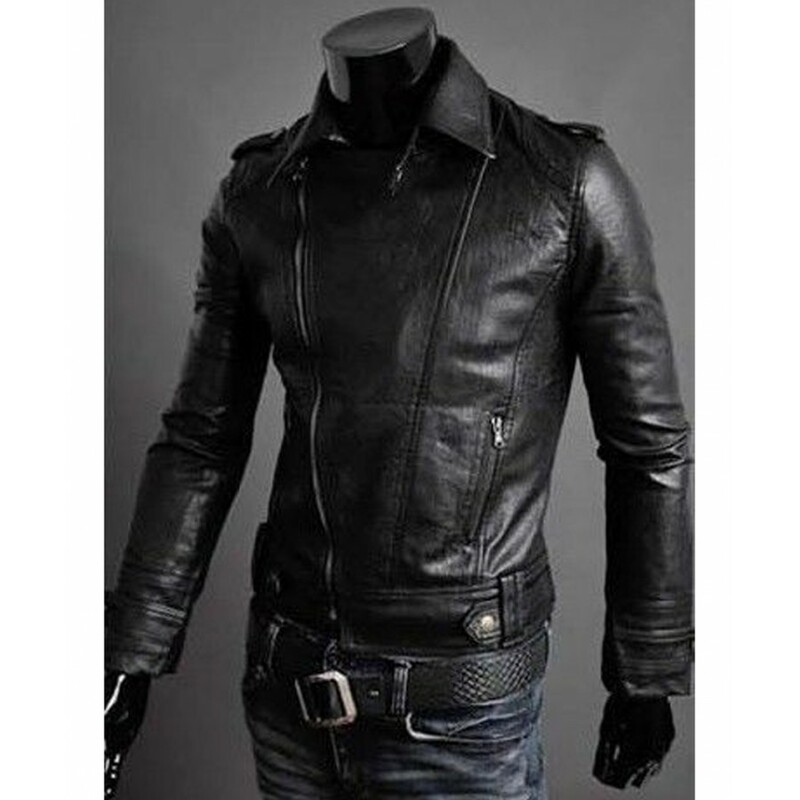 This exquisitely Mens Faux Leather Moto Jacket is bound to mesmerize the senses. Front: Lapel collar, zip fastening for closing. Sleeves: Full fitted sleeves with button straps cuffs. Pockets: Slanted zipper pockets on both side of waist. 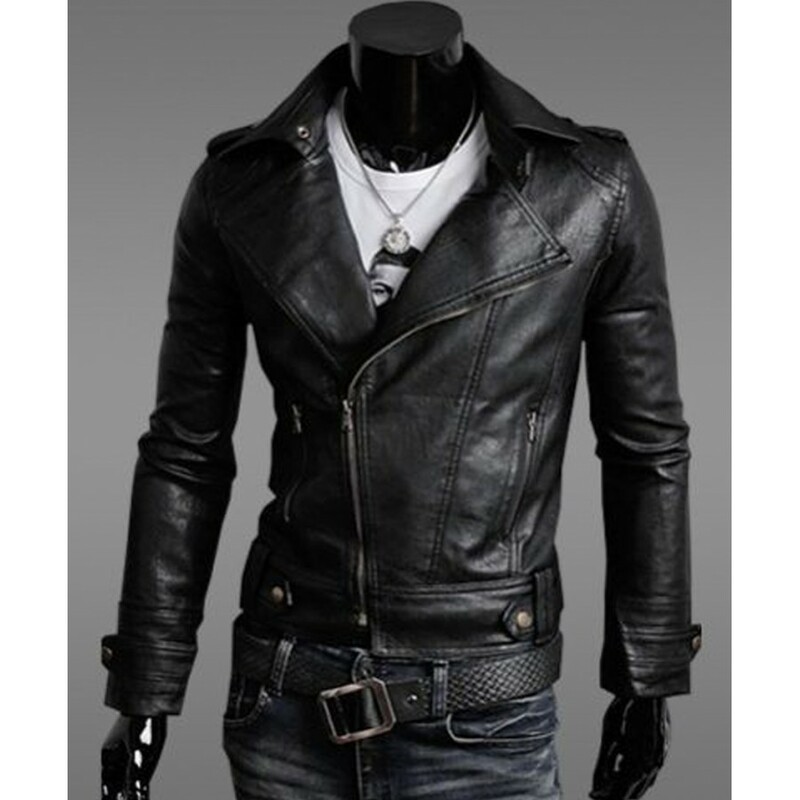 This jacket is crafted from a faux leather, deliver a suave and refined style statement. 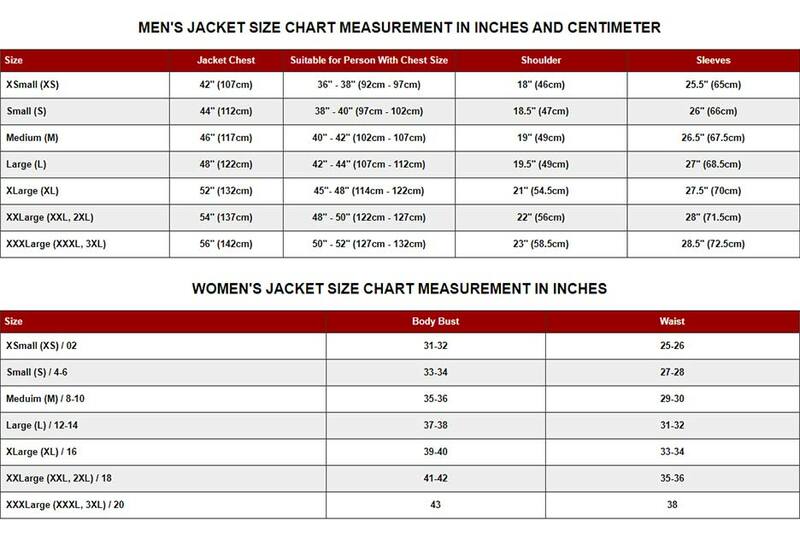 This jacket with a lapel style collar, a heavy metal zipper is an ultimate exemplar of the way you want to look; be it bold, trendy yet elegant. 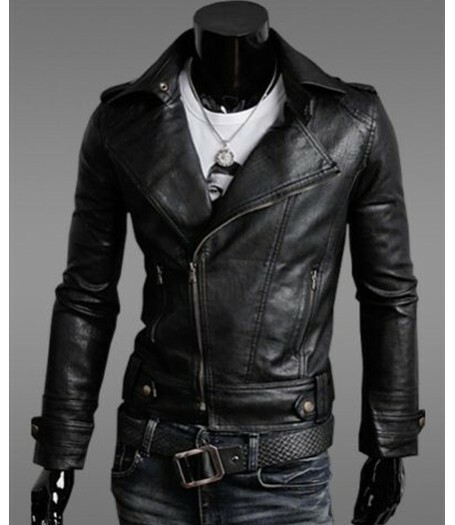 Inspired by the traditional biker elements, the jacket gives a two tone impact and an elegance look. 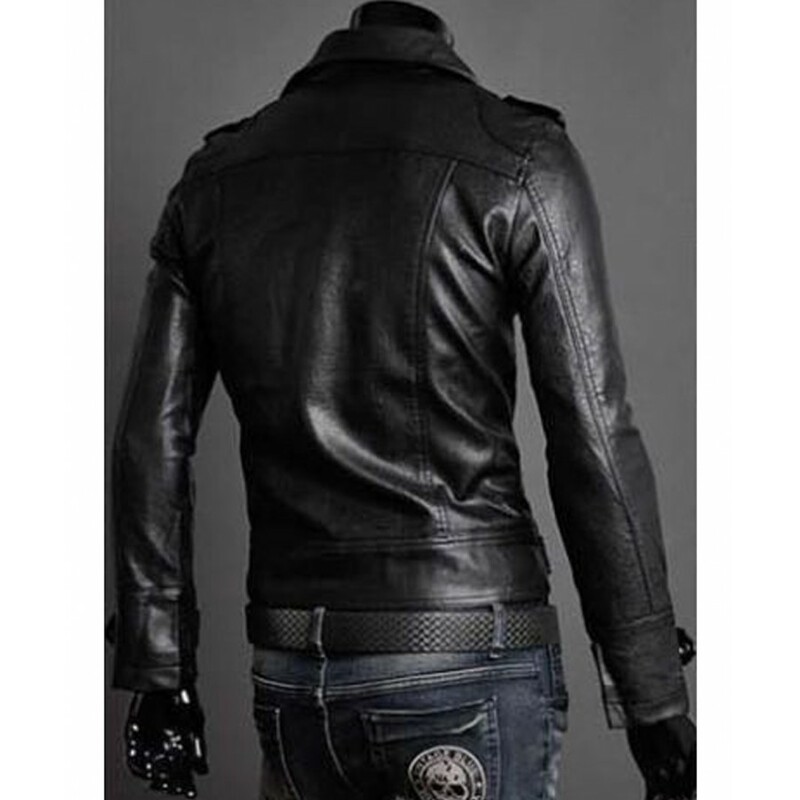 Slim Fit Faux Leather Jacket has slanted zipper pockets on both sides of waist. The long fitted sleeves with button straps cuffs adds class and prestige to your personality. The slightly fitted waists give the body a V-shaped view. 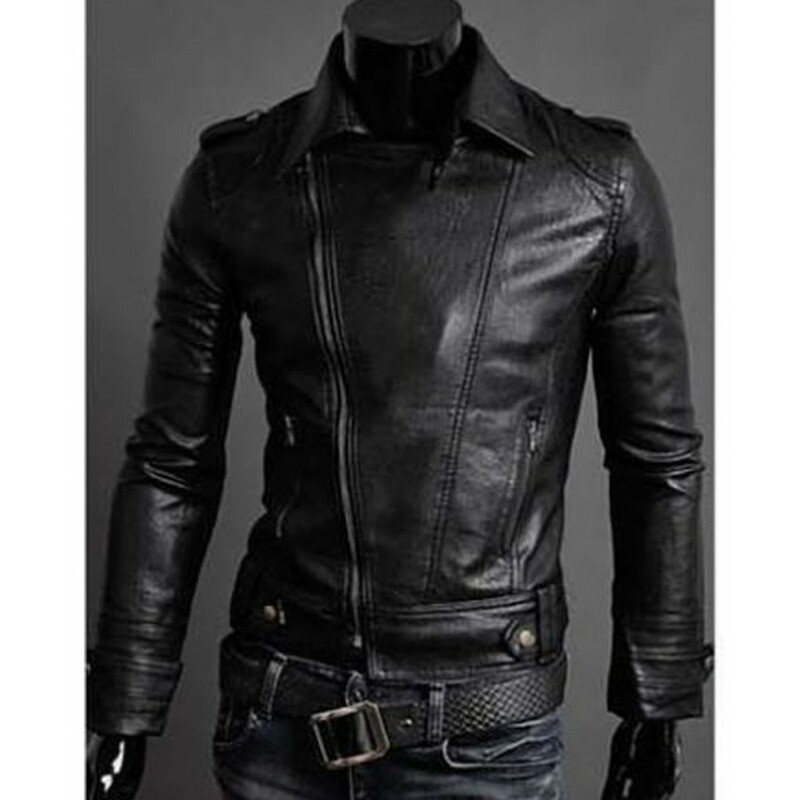 Shoulder epaulets and button straps on hemline all make this Slim Fit Leather Motorcycle Jacket a unique and elegant piece.